IT’s fair to say that most people visit Italy during the summer time. When we think about the Italian food at that time of the year, it’s often salads with creamy mozzarella, sharing platters of cured meats, al fresco pizza and light pasta dishes washed down with chilled glasses of local vino. But autumn is arguably the time of year when some of the best eating is done. It’s the time of harvest and abundance when ripe fresh fruits come into their own, olives are ready for picking and pressing, and there’s a bounty of wild food available including native mushrooms and the mighty truffle. Traditional dishes become more hearty and comforting – think regional variations on slow cooked wild boar stews, steaming risottos and rib sticking sausage and bean casseroles. But pasta is the life blood of Italian cuisine, and what’s good about it is it’s versatility. It’s perfect for eating at any time of year, whether lightly dressed with a fresh tomato sauce in summer, or smothered in a rich ragu to help see you through the colder months. 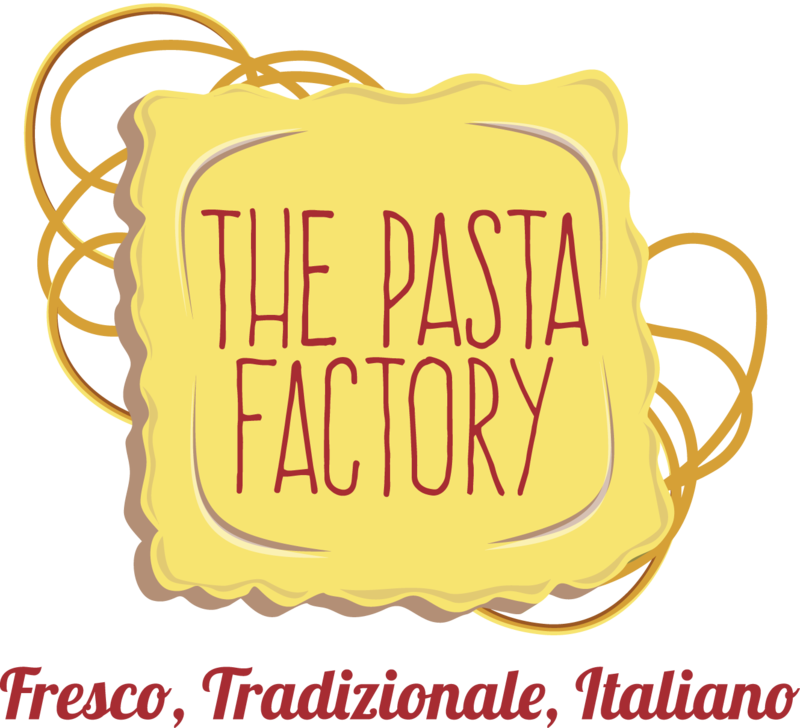 As you know, the best place to get freshly made pasta in Manchester is The Pasta Factory and, as you’d expect, they are celebrating the morphing of summer into autumn with a fantastic new seasonal menu. The Pasta Factory creates different handmade pasta doughs every day infused with natural colours and flavours including black squid ink, green herbs and even red wine. Then they turn them into all kinds of shapes; ribbons, tubes, parcels, spinning tops – traditional in various parts of Italy, but lesser known here. Pasta sauces and garnishes on their new menu are full of an autumnal abundance with dishes including bucanti amatriciana with guanciale (cured pork cheek), white wine and Italian tomatoes, or handmade agnolotti Piemontesi pasta parcels filled with a combination of roasted wild rabbit, pork and beef and topped with sage crumble. As you’d expect, there is also a range of utterly stunning vegetarian and vegan dishes, including something that has become one of their go-to signature dishes; handmade triangular ravioli filled with mushrooms, garlic, parsley and cashew nuts, dressed with a porcini sauce and garnished with Piedmont black truffle. One new autumn dish is handmade gnocchi with crispy speck and a sauce made with walnuts and red peppers sauce, topped with creamy burrata cheese. 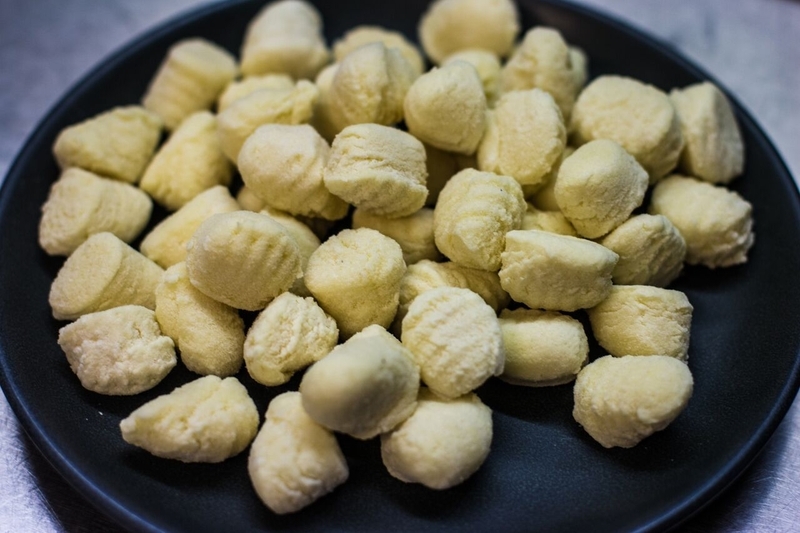 Gnocchi are small soft dumplings, with little ridges to help to soak up their sauce - but what makes them different to pasta is the introduction of mashed potato in the dough. The chefs at The Pasta Factory use a special potato ‘ricer’ to press the boiled spud into a consistent mash with no lumps. 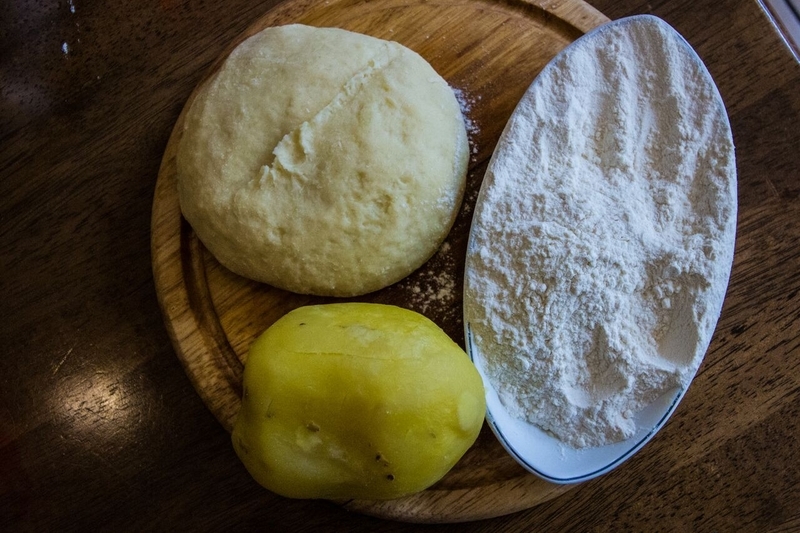 Egg yolk and flour are added to bind the mixture into a smooth dough which is rolled into a long sausage shape and cut into square dumpling shapes which you can press with a fork or roll gently over the holes of a grater to set that distinctive shape. These are cooked in boiling salted water for a few minutes – they’ll rise to the top of the pan to let you know when they’re ready. Once drained, they’re added to a frying pan with sautéed speck, a delicious cured Italian ham – which helps them to absorb the warm smoky flavours. The deliciously hammy gnocchi is then placed on a dish on top of a smooth roasted red pepper, pine nut and walnut sauce, before being garnished with a sprinkling of crushed walnuts, fresh basil leaves and shreds of freshly torn burratta – a very special, creamy mozzarella cheese. The Pasta Factory specialises in handmade pasta, because so many people enjoy traditionally made fresh pasta, but not many have the time or skills to make it at home. 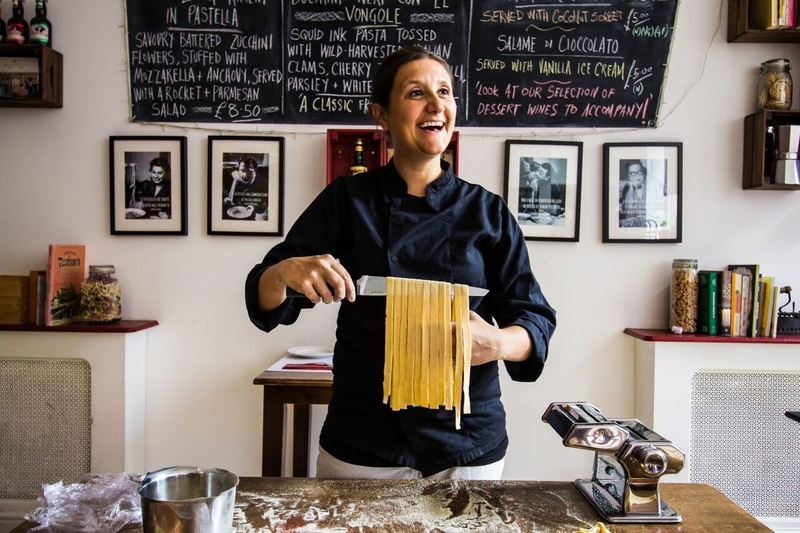 But it’s not just their pasta that makes it such a special venue – it really is a genuine corner of Italy, tucked away on the edge of Manchester’s Northern Quarter. It’s the nearest you’ll get to a warm welcome from a beloved nonna who insists on feeding you delicious, age-old recipes with a bit of love – and great wine to match of course.